"Russia's looming monopoly over the delivery of crew to the International Space Station is causing disquiet in the US as the last space shuttle prepares for take-off. 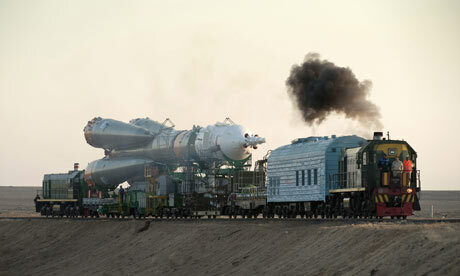 Once the shuttle Atlantis – due to launch on Friday – returns to Earth after a 12-day mission, Russia will be solely responsible for sending astronauts to the $100bn station in its Soyuz spacecraft. Several US astronauts, including the legendary Neil Armstrong, wrote to Nasa administrator Charles Bolden on 30 June warning of an 'unacceptable flight risk' because the Soyuz lacks the airlocks, life support systems and robotic arm that allow the shuttle to act as a base for spacewalks to repair the ISS in the event that a systems failure or accident on board the station makes it uninhabitable."